First, let us welcome all the Dharma friends returning to City of Ten Thousand Buddhas for the first Guanyin Recitation Session of 2009. 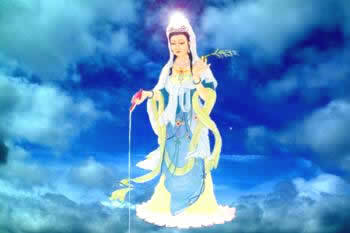 Whenever Guanyin Bodhisattva is mentioned, we naturally think of his loving-kindness and compassion. What are loving-kindness and compassion? Briefly, loving-kindness means helping living beings gain happiness, and compassion means helping them leave suffering. Just now when we requested the Dharma, we did so out of loving-kindness and compassion, wishing that those who hear the Dharma will rely on it to cultivate and leave suffering and attain bliss. It is said in the Sutras that loving-kindness and compassion are the foundation of all dharmas. That is why the Buddha propagated the Dharma for over forty years and gave over three hundred lectures. All twelve categories of Tripitika were generated from a single thought of loving-kindness and compassion. It is evident from this that loving-kindness and compassion are very important. What is the great kindness and compassion of "no-self" of the Buddhas and Bodhisattvas? Loving-kindness refers to bestowing happiness, helping all beings gain the joy of the world and heaven, the joy of Dharma, and the joy of nirvana. Compassion refers uprooting suffering, helping beings leave all the pains and sufferings of the three realms. To accomplish the great kindness and compassion of "no-self", we must first regard all living beings with goodwill, wishing that in every moment they be free and at ease, blessed and happy. Begin this by treating your own "beings of the self-nature" with loving-kindness and compassion. This is what was sung in the Mengshan Food Offering just now: "I vow to take across the living beings of the self-nature." Thus, it is extremely important to learn how to treat ourselves with loving-kindness and compassion. We can think, are we using the most kind and friendly methods to be a good friend to ourselves? If we can do so, then this is the first step in being kind and compassionate. It is very important to establish this type of friendly relationship with ourselves. We need to feel the easy relaxed manner in which we approach ourselves as if returning to our own home. Only when we have established this kind of relationship with ourselves can we begin to be truly friendly with others; this is because the friendliness is generated naturally from within. Only when this is done are we able to really open up our hearts in our treatment of others. If we are unable to establish this kind of relationship with ourselves inwardly, it is very easy to start disliking or even hating ourselves when some issue or past negative experience comes up. Eventually, we become overly self-critical. We become the person we hate the most, creating a lot of trouble and pain both for ourselves and for others. Learning to treat ourselves with kindness, opening our hearts in the treatment of ourselves and others, is a very important point in cultivating loving-kindness and compassion; it is also the first step. How shall we be kind and compassionate to ourselves? We shall regard ourselves positively to discover more about our own good points and always see our own Buddha natures. If we see only our mistakes or bad points, we are giving ourselves a negative evaluation. Eventually we will become the person we dislike the most. Thus it is extremely important to learn to find more good points in ourselves, give ourselves positive evaluations, to see our goodness as well as understand our Buddha nature as we study Buddhism. When we have learned to do this, we'll surely be able to see others' goodness, give others a more positive evaluation and also be able to see the brightness of the Buddha natures of more people. In other words, our minds will develop more kindness and compassion; our actions, the contents and tones of our speech, as well as our body language, will reflect our inner kindness and compassion. When we treat others with friendliness and consideration, we will feel that it brings us more joy and happiness. We not only feel free and easy in minds and bodies at that moment but also feel delight when we see that our deeds have brought more delight to others. Thus the Buddha says in a Sutra that one can receive eleven kinds of blessing while practicing loving-kindness and compassion. What are these eleven blessings? The first, one will sleep in comfort. If you have difficulty sleeping, it is recommended that you practice loving-kindness and compassion. Second, one will wake up in comfort. If you always have nightmares or wake up from your dreams feeling ill at ease or in tears, please practice kindness and compassion. Third, one won't have bad dreams, as we just mentioned. Fourth, one will be adored by all beings. We all know that a kind and compassionate person will be cared for and supported by all. Fifth, one will be adored by non-human beings. What are non-human beings? These include animals and spirits, as well as heavenly beings, dragons or Dharma protectors. Sixth, the heavenly gods will guard you. So you see, not only do non-human beings protect you, even the gods will do so. Seventh, you will not be attacked or harmed by fire, poison, or weapons. Because of your virtue, you will be immune to many adversities. Eighth, one's mind is easily concentrated. If your mind is easily distracted, you can practice kindness and compassion. Ninth, your demeanor will be serene. As you know, one's appearance reflects one's mind. If your mind is kind and compassionate, your appearance will surely be undisturbed and peaceful. Tenth, we will be peaceful and calm at the time of rebirth. It is due to the good deeds and compassionate deeds we cultivated in regular times. But where will we be reborn to? Eleventh, we will be at least reborn to the Brahma Heaven or even higher, to the Pure Lands, depending upon our vows, causes and conditions. Some people may exclaim, saying, "Really? Look! This person is so kind and so compassionate; yet, he is always poor and sick. He has not received any of the eleven benefits you mentioned, except one--he is not dead. And look at that person: he is so evil, yet, he is strong and healthy and making a lot of money. See, the heavenly gods are blind, aren't they? There's no such thing as a response. Everything you just said is pure nonsense." We should understand that according to Buddhism, the law of cause and effect operates in the three periods of time. We may be kind and charitable during this life, but how do we know what debts and unwholesome karma we created in our previous lives? All debts have to be paid back. Although we are kind and compassionate in this life, we still cannot refuse to pay what we owe from past lives. We still have to face the consequences of previous causes. Conversely, people who are evil in this life may still be enjoying blessings because they have not exhausted their good karma accumulated in past lives; the time has not yet come for them to receive the consequences of their current offenses. It is like a person who has a lot of savings in the bank, so he can continue to live extravagantly; yet, as soon as he has spent all his savings, he will face poverty and suffer from cold and hunger. No one can escape their retribution. Thus a proverb says, "There are always consequences for good and evil deeds; it is just a matter of whether they come sooner or later." So, things in the world are not always what they seem. This reminds me a story titled "Things are not always what they seem." One day two angels--which we would call heavenly beings in Buddhism but this is a Western story--transformed themselves into humans and came to the human world. When the night came, they came to a wealthy family and asked to stay overnight. This family was not friendly and refused to let them stay in their comfortable guest room; instead, they gave them a small space in their freezing basement for the night. When they put the blanket over the floor, the old angel found a hole on the wall. He sealed it and the hole seem to vanish. The younger angel asked, "Why did you do that? This family treated us so badly." The old angel said, "Things are not always what they seem." The second day, they continued on their journey. 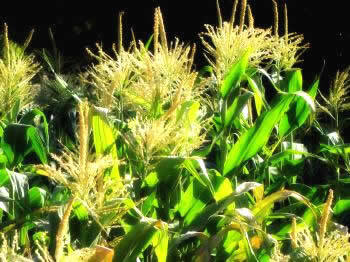 When the night came, they reached the door of a poor farmer and asked to stay overnight. The farmer and his wife were very enthusiastic in their hospitality and not only served them with the only bit of food they had but also provided their own bed to these two angels, whom of course looked like ordinary human beings. The next morning when they woke up, they found this farmer couple in tears. Why? Because their only income source was a cow and now it had died. The younger angel was furious and asked the old angel, "How could this happen? The first rich family has everything; however, you are getting so old and muddled that you helped them repair their wall. This family is so poor, yet they hosted us earnestly and let us stay overnight. You not only did not help them; to my surprise, you let their only cow die last night." The old angel said, "Sometimes things are not what they seem. When we spent the night in the basement of that rich man's house, I saw through the hole in the wall and found that it was full of gold. Since this owner was afflicted by his stinginess and greed and unwilling to share his good fortune with others, I sealed the hole in the wall. Thus he will never find that gold again. Last night when we stayed in this farmer's bed, the angel of death came for his wife at midnight. I gave him his cow instead, so his cow was dead but his wife can continue living in this world. Things are not always what they seem." Therefore, sometimes things on the surfaces do not reflect their actual circumstance. If we have faith in the cause and effect of the three periods of time, we should plant the proper seeds, continue cultivating the good deeds and then we surely will harvest with joy. Somebody said, "Yesterday has become history, tomorrow is a mystery, but present is a present to keep." This is said in English, from that you will find the characters and pronunciations for now and gift are the same (present). When you say "present (now)", it sounds like saying "present (gift)". So I wish all of you here will cherish this on-hand "present" and hold it tidily. Furthermore, some people have the misimpression that to be kind and compassionate is to be weak and timid, to be neither strong nor tough and dare not fight with others. But true kindness and compassion are not an expression of weakness and timidity; what the weak and the timid demonstrate is spurious kindness and compassion. But to my surprise, someone said to me, "Dharma Master, I'm so compassionate and kind by being a vegetarian for years, but my health is still poor and I need to visit so many physicians and spend so much on medicines. I don't want to be a vegetarian anymore." Let's look at the fact of why he became a vegetarian. His motivation is not based on the concept of kindness and compassion but for the purpose of gaining longevity, good health or beauty. Thus, his attitude is improper. If he can practice vegetarianism with the same intention as Buddhas and Bodhisattvas who dare not eat the flesh of other sentient beings and maintain his life regularly with proper exercise; with these good causes and conditions, he will naturally become healthy. As mentioned before, to be healthy requires proper causes, conditions and effects. Likewise, religious faith requires religious causes, conditions and effects and they cannot be mixed and confused. True kindness and compassion is rational and is for benefiting all living beings. It requires taking the circumstances into account. You cannot simply say, "My intentions is good. Tell me what to do, and I'll do it." Here, I would like to share another story with everybody. One day, a man walked into the park and found a small cocoon that was about to open. He watched carefully to see how the butterfly struggled to force its body out slowly through this little hole. Some hours had passed, but the butterfly barely moved as if it had run out of strength and could not go any further. Since this man had a good heart, his heart felt pain as he watched and so, he decided to help this butterfly. He took out a pair of scissors and carefully opened up the cocoon. The butterfly then emerged easily; it had a shrunken body and its wings were tightly stuck to its body. He continued watching and was expecting that after a while, the butterfly's wings would open up to support its body and it would transform into a beautiful butterfly. The time passed and this expected moment never came. In fact, this poor butterfly would spend the rest of its life carrying its undeveloped wings and crawling on the ground. It could never fly. This kind person didn't understand why a butterfly must strive and struggle to come out of the tiny opening of the cocoon by itself. It is nature's way that a butterfly must go through this kind of pressure-filled process to develop its wings, so that when it comes out of the cocoon, it could spread its wings to fly. I guess, upon hearing the story, everyone may feel a sense of regret because we understand that it is necessary to strive or struggle in life sometimes. If we don't have any obstruction in life, we will become weak and fragile. We feel a sense of regret about what happened to this kind gentleman who intended to help this butterfly but failed. Meanwhile, we also hope he would understand the causes and conditions and forgive himself; that is another type of loving kindness and compassion. Another important issue in life is to forgive others as well as ourselves. We must understand that the world we are currently living in is not a pure land, but rather a Saha World, which is not perfect. Thus we should avoid making mistakes or pointing out others' mistakes. If we can't forgive ourselves or others, we are like someone who has a wound but doesn't want to be cured. This will give us a lot of pain and worries and also bring pain and worries to others. And worst of all, we do not even realize that the source of all these sufferings was created by ourselves. Someone may say, "Sometimes I find myself full of bad thoughts and bad desires; if I gave mercy to myself or forgave myself, wouldn't I be indulging myself and becoming even worse?" This is a very good question. Let's take a look at one practical example. When jealous and obstructive thoughts arise, what will happen? Will we feel good? I believe everyone here knows that it is no good; not only is it not good for us at present but we will have also planted the cause for falling into the three evil paths in a future life. However, sometimes we are hard on ourselves and think we are very bad to give rise to jealous and obstructive thoughts, that we do not deserve to be forgiven. Or we may get angry with ourselves and even start hating ourselves. Then after having these thoughts, we have regret in our minds. This is how the sense of guilt arises: by dealing improperly with the arising of jealousy and obstructiveness, we suffer for a long time. But if we use loving-kindness and compassion to forgive ourselves for being jealous and obstructive to others, the result would be completely different. We wouldn't constantly blame ourselves or judge ourselves negatively. We wouldn't feel ashamed or guilty; we wouldn't suffer. Instead, we can use a friendly and rational attitude to discover why we are jealous. If we can discover the reason for our jealousy then we can learn and grow from this jealous state. This is using loving-kindness and compassion to forgive and develop, to allow us to approach our jealous and obstructive state using a completely different attitude. Of course, this does not mean we should surrender to it or be overly indulgent toward ourselves. It means we use a more rational and effective method to deal with the jealous state instead of responding to it emotionally, causing ourselves to suffer. Besides, if we are friendly and open toward ourselves, we find that our jealousy disappears. The next time when the same or a similar situation arises, we know how to deal with it. In addition, we can use this rational method to approach the issue from another angle, and ask, "Why did his behavior cause me such annoyance?" If we can put ourselves in the other person's shoes and try to understand his/her point of view, it is very easy to forgive his/her mistake. Furthermore, we'll be able to stop feeling so attached to the idea that the person is wrong. If they are wrong, why have you been annoyed by their behavior for such a long time? Once we understand that all things just arise temporally when the causes and conditions are mature, we will realize that there is nothing in this world that is absolutely right or wrong. Once we change our point of view and understand the causes and conditions that make someone do something, we will be able to let go of our grasping and forgive them. Actually, we will forgive ourselves as well. If we can sustain our practice until our loving-kindness and compassion extends to everyone, we will reach the state where both self and others vanish. In that state, we no longer see any difference between the self and others. Perhaps you say, "Can this really be done?" We can do an experiment to test whether or not the discrimination between self and others has truly vanished. What is the experiment? Imagine you are sitting with three people. One is your friend, one is a stranger, and one is someone who regards you with hostility and is always glaring with anger. At some point a group of robbers comes up and says to you: "Hey, Mister, choose one person and hand him over." You ask them, "What are you going to do with the person I select?" They say, "We want to kill him and offer the blood from his throat to the ghosts and spirits!" Hearing this, what would you do? Would you say, "Okay, I'll send off the guy who is always getting mad at me. Then I won't have to look at him again! If I let him stay, he might kill me!" Or would you say, "I'll send off the stranger," or "I'll just betray my friend!" We all know that if we have this kind of discriminating mind then we haven't let go of such an obstruction. If you say, "Okay, take me, just don't touch the other three people!" Does that mean you've let go of the obstruction of self and others? No, it wouldn't, because you are still making distinctions, thinking, "It is their good fortune to live; I want to be good to them." So what is the appropriate response that proves that the obstruction of self and others has been done away with? When not one of the four people are given to the bandits to be killed so their blood could be used as a sacrifice to the ghosts and spirits, the obstruction of self and others has been truly obliterated from your mind. The "Four Divine Abodes" are Loving-kindness, Compassion, Joy, and Giving. When we practice loving-kindness and compassion, we are happy. If we continue along these lines, we would gain the ability to give equally. So, loving-kindness, compassion, joy, and giving are interconnected. If we continue practicing in this way, it would be easy to enter Samadhi. We are now at the beginning of the seven day Guanyin Recitation Session. We are actually focusing on reciting the sagely name of Guanyin Bodhisattva in order to remind ourselves of Guanyin's loving-kindness and compassion. The Venerable Master has told us to recite with the intention of benefiting all beings. It will only work if we do this sincerely, and not just mindlessly sing the Dedication of Merit, "May this merit and virtue…". With each and every thought, we need to have good intentions; we need to wish that all beings shall become happy and at ease. Only when we have a kind and compassionate mind will we be able to connect with the loving-kindness and compassion of Guanyin. Our hearts will become softer and we won't be so selfish. Naturally, we will also be happier, more at ease and peaceful, and the state of the world will improve. If instead we hold tight to our selfishness and profit-seeking, unable to let it go, even if we recite Guanyin's name, then how can we expect a response? There is another true story. Once there was a disciple who told a Dharma Master, "Dharma Master, I no longer bow to Guanyin Bodhisattva." Surprised, the Dharma Master asked, "Didn't you bow to Guanyin Bodhisattva for over ten years in your home? Why do you no longer bow? Why don't you believe any more?" The disciple answered, "Oh! I spent a ton of money doing good works and praying to Guanyin to dispel disasters and increase my blessings. But no one praised me for my good deeds and my son didn't get elected either. Guanyin didn't provide my son with fame and status. What's the use of bowing to him?" Let's think about it. This person is not bowing to Guanyin and reciting his name to end birth and death, nor to seek birth in the Pure Land, nor for the sake of all beings. He is doing it so he will rise in status, so he will get rich or famous. Think about it: what is he making Guanyin out to be? We should understand that although Guanyin Bodhisattva has great kindness and compassion and rescues beings from suffering by listening to their sounds, he has the wisdom never to confuse cause and effect. If you want to be an official, the causes, conditions, and result have to be right. Otherwise, anyone who wants to be the U.S. President could just recite Guanyin's name and get elected. We disciples who truly believe in the Dharma should improve the quality and nature of our faith. We should believe without a doubt that cause and effect are like a shadow accompanying a form. We need to diligently study the Buddhadharma, keeping in mind that "All dharmas are empty," as stated in the Heart Sutra, and "nothing is everlasting nor is anything terminal." Work with your thoughts and behavior to change bad habits without any expectation of gain. Only when we incorporate the Buddhadharma into our daily life can we gain complete liberation. It is just for the sake of helping us gain complete liberation that Guanyin Bodhisattva uses great kindness and compassion to rescue us. We will start our seven-day recitation tomorrow. In the morning we will hold the ceremony for taking the Eight Precepts. This is a very good practice. Anyone who would like to take them can remain in the Buddha Hall after Morning Ceremony. The most important thing to keep in mind is what was just said. We should hold the precepts with a mind of compassion and with the wish for liberation. Every time we have a seven-day session, we encourage everyone to wear a "Not Talking" sign. This is especially the case if you take the Eight Precepts. Refraining from talking during the session can help you concentrate and avoid creating negative causes. During the Guanyin session, our hope is that everyone can gain an understanding of kindness and compassion. The Venerable Master told us that the core of the Great Compassion Mantra is a heart of kindness and compassion. If we have a heart of kindness and compassion, there will be a response whether we are reciting the Buddha's name or reciting a mantra. As mentioned above, there are 11 kinds of benefits that are gained by being kind and compassionate. During the session, we recite both while circumambulating and while sitting. Please pay special attention to your posture while sitting. Sit with your back straight and head erect. Do not look about. Sit with your eyes seventy percent closed in order to focus the mind. It is very easy to fall asleep when the silent sit starts if your back is not straight and the head not erect. And you'll bump into the person ahead of you if you don't keep your head up while circumambulating. No doubt some lay people here are from outside CTTB. We hope that during your stay, you will relax your movements, and you won't engage in gossip with other lay people. You come here to hold the Eight Precepts, not to hold the "Eight Trigrams" of gossip (nonsensical news)! Each time I mention the silent sit, I always think how some people, perhaps because they are tired or their backs aren't straight, fall asleep as soon as the silent sit begins. Some even fall asleep when the seated recitation begins. The worst is when someone starts snoring! A lot of people get really annoyed when someone starts snoring. I hope that the Dharma friend nearby will kindly reach out a hand and shake that person awake. This will help establish an atmosphere of cultivation in the Buddha Hall. Otherwise, everyone may mistake this for a bedroom full of snoring sounds. As for the person who is shaken awake, I'd like to tell you something. You should know, the person who shakes you isn't doing it because he dislikes you, but because your snoring is bothering others. 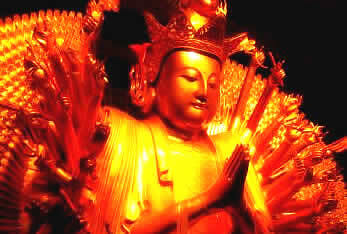 So you should place your palms together and gratefully say "Namo Amitabha Buddha!" or "Namo Guan Shi Yin Bodhisattva." Don't say, "What are you hitting me for? I was entering samadhi. You don't recognize my accomplishment!" The biggest problem in cultivation is thinking we are right all the time. Do you have any questions so far? We only have a few minutes left. I forgot to mention one point. If any of you are carrying a cellphone, please turn it off. When your phone rings, everybody's hand starts searching for their cell phones, "Is mine ringing?" Also, if your watch has an alarm, please turn it off as well. The loving kindness and compassion that we just talked about is not something far away. At this very moment, you can tell yourself, "May I be happy and at ease." Meanwhile, look at all the people around you and say with the same good intention, "May they be happy and at ease." That's our first step of loving kindness and compassion. Some people use their breathing to practice kindness and compassion. When inhaling, you say, "I wish to take on the suffering of others." When exhaling, you say, "I wish to give happiness and peace to all beings." Since breathing is something we do naturally, using the breath to help practice kindness and compassion is an excellent strategy. 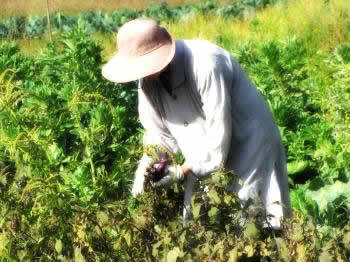 Cultivation is not so far away; it is to be done right in our daily lives. Each movement is a moment to cultivate. Okay, we'll stop here today. Let's start the ceremony for Purifying the Boundaries.